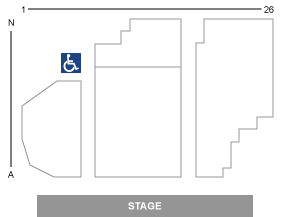 Premium Reserved Seating offers seating directly in front of the stage. for special seating requests call 404-478-2749. Reserved Center seating offers seats in the center back section of the Theatre. For special seating requests call 404-478-2749. Reserved Left seating includes all reserved seating to the left of the stage. For special seating requests call 404-478-2749. 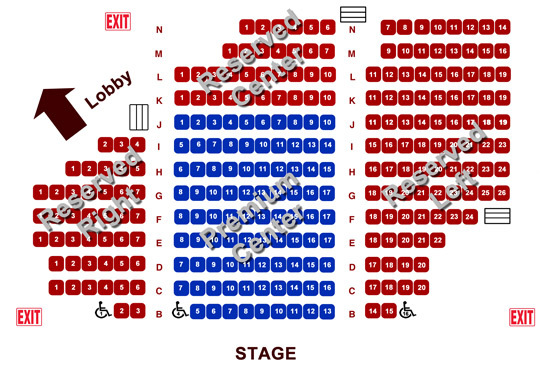 Reserved Right seating includes all reserved seating to the right of the stage. For special seating requests call 404-478-2749.